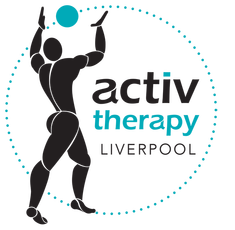 Activ Therapy Liverpool provides physiotherapy, chiropractic and exercise physiology services in the Liverpool and surrounding suburbs including Cabramatta, Ashcroft, Miller, Cartwright, Mount Pritchard and Lurnea. You will find us conveniently located on the exterior of the Westfield Liverpool building on the corner of George Street and Elizabeth Streets next to MyHealth Medical Centre. Our clinic has several therapists from various professions including physiotherapist, chiropractor, massage therapist and exercise physiologist with a range of services from dry needling, kinesiology taping, mulligans and mckenzie techniques to active release techniques and exercise for chronic disease. All our therapists offer a hands on approach to therapy focusing on manual therapy to ensure you get results from the first session. We provide effective pain relief and lasting solutions for a range of muscle and joint conditions including shoulder impingement, bursitis, osteoarthritis, sports injury, pregnancy related low back pain, abdominal separation, hip pain, neck pain and migraines. Contact one of our therapists today to get a lasting solution to your pain. Address: Shop 199A Westfield, Liverpool. Corner of Elizabeth and George Street liverpool. Next to Myhealth Medical Centre. Entry via street level on Elizabeth Street. Getting back to weekend sport after an injury? Get professional sports taping and kinesiotaping for just $5 every Saturday morning at our Chipping Norton and Liverpool Clinics. Tape included! Read our taping info sheet to learn more about how taping can help you.